One thing is for sure, women's shorts are ideal for ladies who want to feel comfy in hot weather and let their legs breathe. 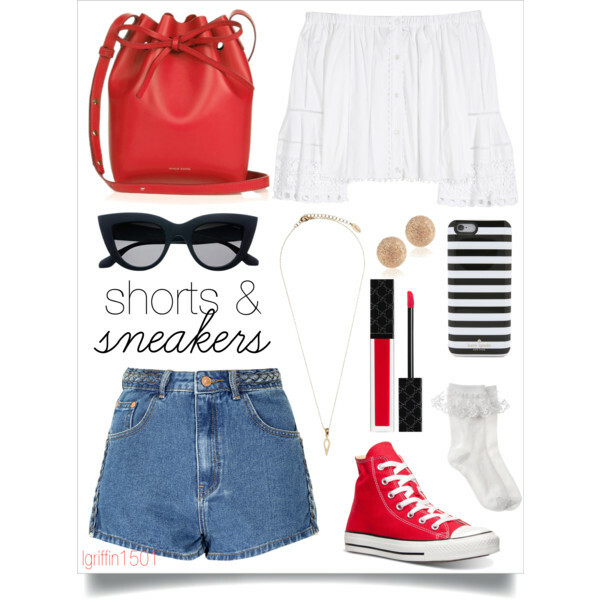 In today's blog post I am going to share with you my favorite Polyvore fashion sets that show you best ways on how to bare your legs in style. Below are gathered stunning ideas and key styles for Summer 2018. I am pretty sure you gonna be wowed to see so many inspirational looks to copy! Trust me, wearing shorts you all can appear put-together and look remarkably stylish. Everything depends on the cut, material, fit and the way you gonna style these bottoms. Anyway, I do recommend to scroll down to see amazing shorts designs and possible outfit ideas you all can copy next year. 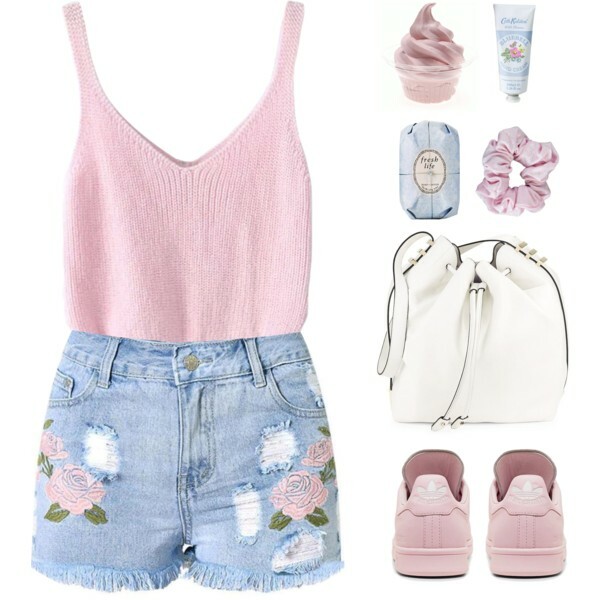 High-waisted denim shorts look pretty cool and easy to style. Try these bottoms with a basic white T-shirt and classic ankle-cuff flat sandals.